Axe set to fall on public toilets, libraries and school crossing staff over next year. 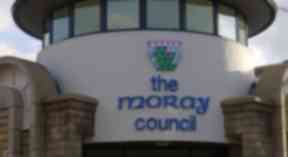 Moray councillors will meet in Elgin on Wednesday. Moray Council is facing a £5m shortfall in its £214m budget for 2019-20 despite agreeing to sweeping cuts in services. STV News understands that public toilets, libraries, swimming pools and school crossing staff are all in the firing line. Full details are expected to emerge during a council meeting in Elgin on Wednesday. Road gritting and school cleaning are also believed to be facing cuts. A spokesman for the Scottish Government said Moray Council would receive £4.9m extra before any council tax rise in 2019-20. The "real terms" amount has been disputed by the SNP-led council, which claims ring-fencing of the grant means a cut of £500,000 compared with the sum for 2018-19. The deadline for balancing the books is February 27. Councillors have agreed to a 3% council tax increase for the coming year.